Trained for lost animal search and rescue situations, Kim Freeman spends her days finding missing cats for heartbroken pet parents. If you've lost your beloved cat or kitten and have nowhere left to turn, you might want to give Kim Freeman, a "cat detective” from Austin, Texas, a call. For a small fee, she'll come to your neighborhood and help you search for your little furry one. Freeman's story started in 2006 in a training class with former K-9 Bloodhound handler and police officer Kathy "Kat” Albrecht. Albrecht used to track down missing people with her dogs, and then she realized she could help those with missing animals, and started the Missing Pet Partnership. 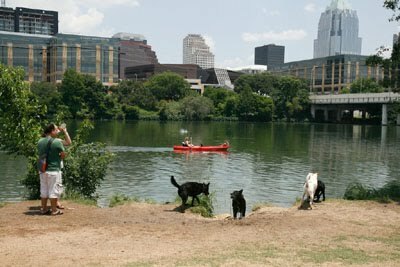 The Missing Pet Partnership is a nonprofit organization that works to educate people on community-based lost pet services. Freeman took Albrecht's course and thought she would wait until she could get a Bloodhound to start using her newfound talent. In 2008, Freeman's cat went missing, and she used the techniques she learned from the Missing Pet Partnership to find her. Being a pet detective that specializes in finding missing cats has brought her much joy. "It's extremely gratifying to reunite lost cats with their loving owners. I truly love this work being able to help felines all over the world,” Freeman says. 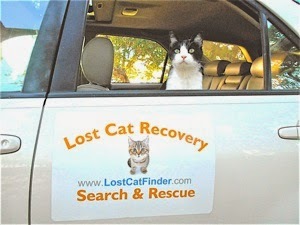 Freeman's website LostCatFinder.com not only has free helpful tips as well as many purchasable options for those who need help finding their lost kitten. You can get "The Lost Cat Book Search Guide,” a Lost Cat Kit, in-person advice and equipment or an in-person neighborhood search, where Freeman will investigate environments and different areas you may have overlooked. The search guide found on the Lost Cat Finder Web site is where Freeman suggests you start because it is a guide that walks you through all of the steps she walks through as a pet detective. That is absolutely wonderful. Thanks for this info!